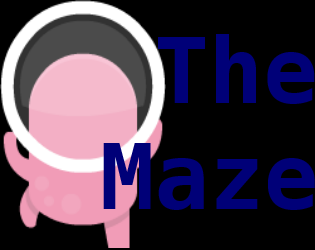 Welcome to TheMaze, an always growing labyrinth fulled to the brim with horrors and treasures. Collect coins in the shop to buy upgrades, but make sure to defend yourself too! Dangerous creatures lurk in these caves, and if you run out of gold then you shall surely perish. Play as Paul, a friendly alien who lives off of gold. Paul needs to eat, so Paul needs to find gold. For this he went into TheMaze where it is said there are thousand of pieces of gold. What Paul did not realise is that TheMaze is full of peril. Now stuck, with no idea of how to return, Paul must fight his way through the many thousands of levels of TheMaze to try to get home to his family.